Description: Joseph Arthur Vigneron was born in 1851 in Mirecourt. 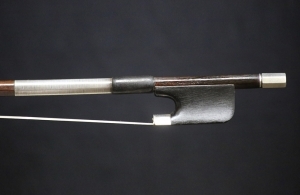 He began studying bowmaking under his step-father Claude Nicolas Husson. After his step-fathers death in 1872, he worked for the Jean-Joseph Martin firm until leaving for Paris in 1880. While in Paris, Joseph worked for the Gand & Bernardel firm for eight years, until finally establishing himself independently in Paris in 1888. He worked alongside his son André until his death in 1905. The round stick branded A. VIGNERON A PARIS is made of medium red-brown flamed pernambuco and is 71.8 cm long. The frog is ebony with silver mountings. The button is ebony with a full silver cap. The frog and button are neither original nor made by Vigneron. Certified by Isaac Salchow. Weight: 65.7 grams. 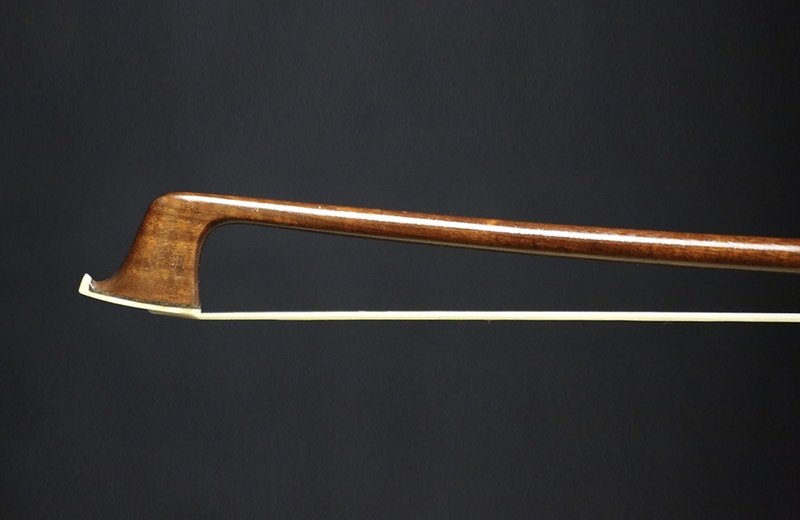 Terms: This fine bow has been hand selected for addition to our catalog and is available for examination and trial. 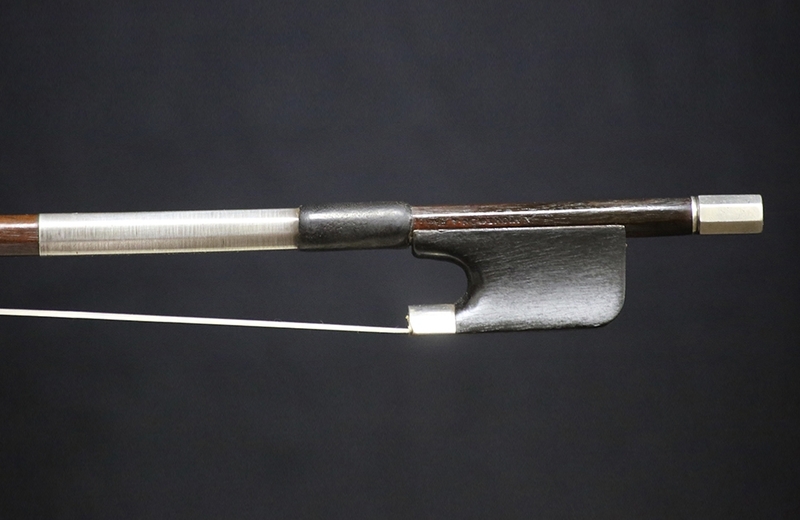 If you wish to inquire further about this bow, please contact us using the green button at the top of this listing or call 1-818-762-1374 during business hours.